As we’ve often discussed here at DiabetesSelfManagement.com, diabetes can take a psychological toll on a person — due to the feelings of helplessness it can induce, physical suffering from complications, and the unrelenting need to control and monitor your food intake, medications, and activities. Of course, this toll won’t be the same for every person with diabetes. But as a recent essay shows, in some people it can be overwhelming, due in no small part to the shame that many people feel about their bodies. Published last week in The New York Times, the essay — by Rivers Solomon, a 28-year-old novelist with Type 2 diabetes — touches on themes that are familiar to many people with diabetes, including the overwhelming, constant need to check blood glucose levels and anxiety about what foods to eat. But Solomon writes about a burden that’s less widely discussed in forums for people with diabetes — the role that shame about her body size, and about how she may have contributed to her diabetes, plays in her approach to her condition. She notes that since a very young age, she’s been told in various ways that her body needed changing, and that the problem was her fault due to lack of self-control. Solomon writes that she has internalized this message in certain ways — leading, at times, to feelings of hopelessness and binges on carbohydrates, followed by trying to get her diabetes management back on track. What’s your response to Solomon’s essay — do you identify with the role that shame plays in her struggles with diabetes? Do you feel like you’re blamed — either subtly or explicitly — for your diabetes by other people? Do you ever cycle between mentally giving up on your diabetes management, and resolving to get your condition back under control? 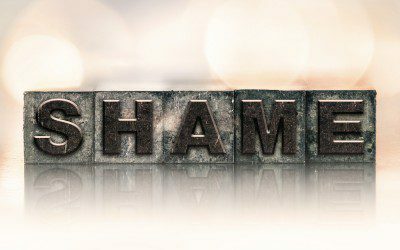 Have you found any strategies that help you let go of any shame related to your diabetes? Leave a comment below!